Garrison, North Dakota, truly becomes the Christmas capital of the state each and every December. The town is home to the Dickens Village Festival. The Dickens Village Festival brings to life the time honored and much beloved A Christmas Carol. The story of Ebenezer Scrooge takes over the town in the most incredible and unforgettable manner. 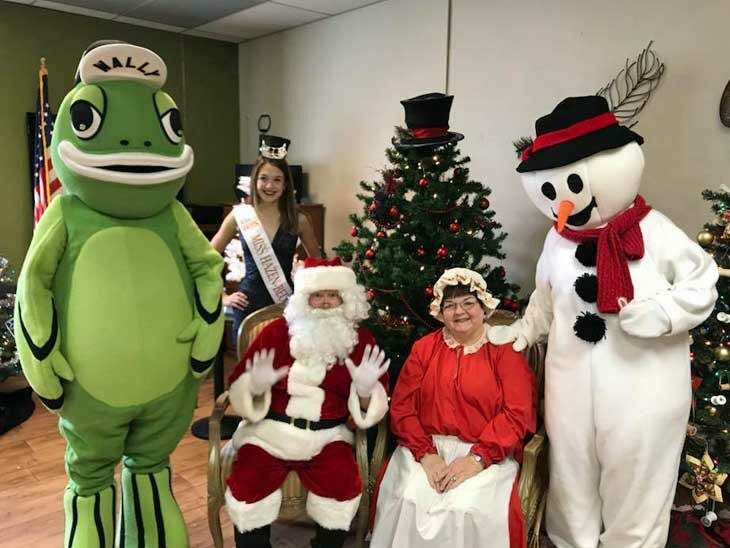 In addition to the retelling of this Christmas classic on the streets of the town, a visitor to Garrison will be able to enjoy live entertainment and an amazing array of vendors. A double decker bus provides idyllic transport throughout the Christmas Capital of North Dakota. Speaking of the Christmas Capital, the North Dakota statehouse is always a must-see destination at the holiday season. Every year, the North Dakota state Christmas tree is erected inside the statehouse to celebrate the season. The tree is placed resplendent Memorial Hall inside the state house, and is lit by a dignitary in the middle of December. Oftentimes, the North Dakota First Lady does the honors. The tree comes complete with lights and handmade ornaments made by children and artisans from across North Dakota. The tree is on display through the New Year celebration. One of the wonderful things about the holiday season in North Dakota is the fact that celebrations can be found everywhere. Many of the smaller communities in the state have marvelous parades. The town comes together to watch the parade pass by. Their typically is food and drink to be had, and plenty of good cheer to go around. If you are traveling in North Dakota, and are near a community that will be celebrating Christmas with a town parade, you will definitely want to check it out. Visitors are made to feel completely at home anywhere in North Dakota, particularly during the holiday season. In a similar vein, Christmas craft fairs are what can best be called “a thing” in North Dakota. These Christmas craft fairs can be found from east to east, from north to south across the state. Even the larger cities get into the act when it comes to Christmas craft fairs. For example, the state capital hosts the Bismarck Holiday Showcase. Over 200 vendors will be on hand selling their wares. You really can undertake much of your holiday shopping in one place by attending a local Christmas fair. 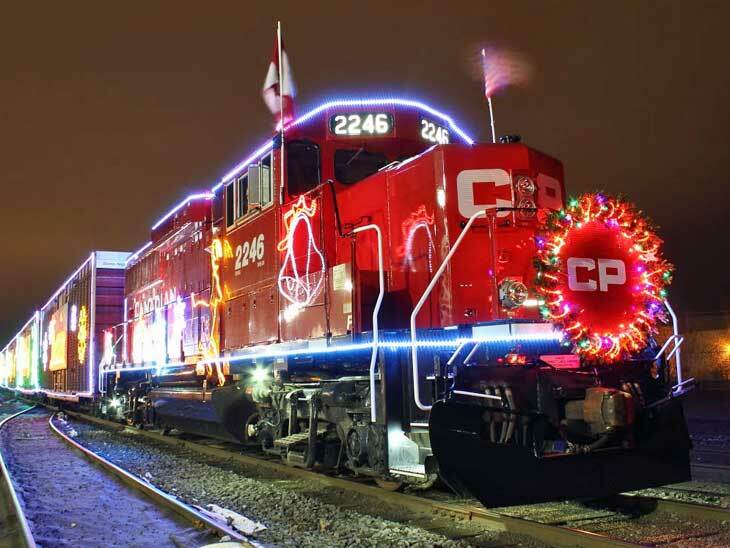 The Canadian Pacific Holiday Train typically makes a pass through North Dakota during the holiday season — and it is something to be seen. The train is gussied up with magnificent holiday decorations, including vibrant lights. Seeing the train on its way through the state is something not soon to be forgotten. Located at Fargo, Santa Village At Rheault Farm is a great holiday destination. The people behind Santa Village At Rheault Farm go all out and create what can only be described as a winter wonderland. It is a perfect destination for a family with children. At Santa Village At Rheault Farm, visitors can enjoy breakfast with none other than Santa and Mrs. Claus. Bismarck also welcomes Santa during the holiday season. Every Saturday during December, leading up to Christmas, the Dakota Zoo features Santa, an elf or two, photos with Mr. Claus, and refreshments. There are also different types of craft activities. Medora’s Old Fashioned Cowboy Christmas is a full weekend of holiday activities. These include everything from a jamboree to hay rides to street vendors. There is an amazing Christmas dinner, the annual Medora Parade of Lights, and even tree trimming with Santa Claus. The weekend is rounded out with a brilliant fireworks display. Typically Medora’s Old Fashioned Cowboy Christmas is held during the first part of December. Grand Forks Christmas in the Park is another lively North Dakota holiday celebration. The event includes dozens of lighted displays located around Lincoln Drive Park. These include a Christmas tree that comes complete twinkling in sync with holiday music. Jessica Kane is a professional blogger who writes for Documents International LLC, a leading apostille service for individuals and businesses.